In collaboration with members of Dell’s Planet employee resource group (ERG), Texas Parks and Wildlife, Keep Austin Beautiful, the Ladybird Johnson Wildflower Center, and Texan By Nature, volunteers and Dell employees rallied to enhance the existing Workplace Garden and Eco-Learning Center at their Round Rock campus. Dell’s Planet ERG focuses on sustainability and the environment, and includes over 10,000 participating members across 62 chapters company-wide. 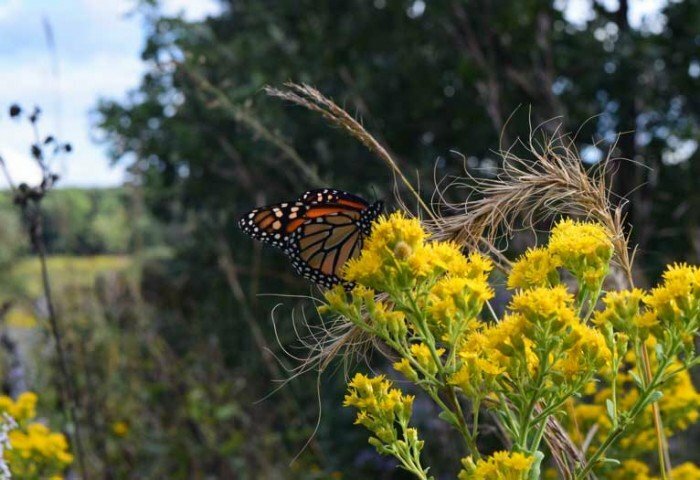 Planet members sought ways to improve their campus for wildlife, specifically migrating Monarchs, and pursued this vision by becoming a Texan by Nature Monarch Wrangler in January 2016. Project: Dell’s international headquarters at the Round Rock campus occupies approximately 38 acres, situated on the 1-35 migration corridor; Monarchs rely on habitat waystations along this central flyway as they make their annual pilgrimage to and from Mexico. Dell employees and partner volunteers collaborated to create monarch habitat in addition to their Workplace Garden, planting milkweeds and other pollinator-friendly native plants, removing invasive species, managing a riparian zone and restored prairie meadow, and enhancing their educational interpretive signage. Dell also seeks to engage their employees in environmental and sustainability efforts happening company-wide, through education, volunteerism, and collaboration. 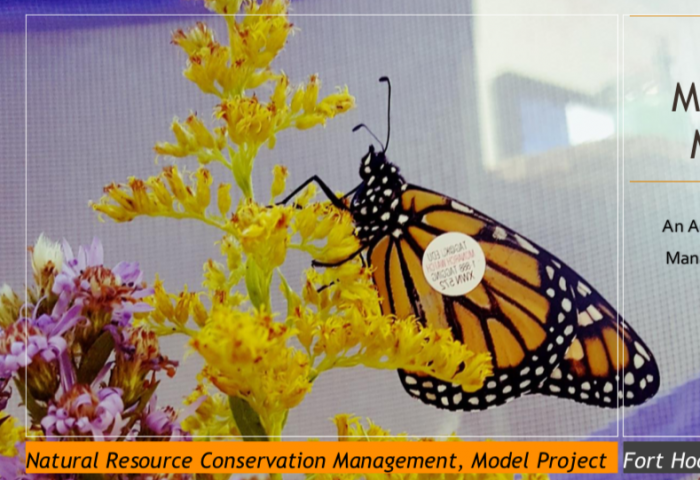 Restoration: Management priorities for the site have been set for the riparian area and walking trail, monarch meadows, and outreach and education. Teams of volunteers have removed invasive species while seeding pollinator-friendly native species like the Texas Bluebonnet. Additionally, the company plans to inventory and evaluate plants on their campus, mow no more frequently than 1/3 of the project area annually (November– March), and enhance engagement with wildlife tracking and education resources like iNaturalist and TPWD Texas Wildscape Program. 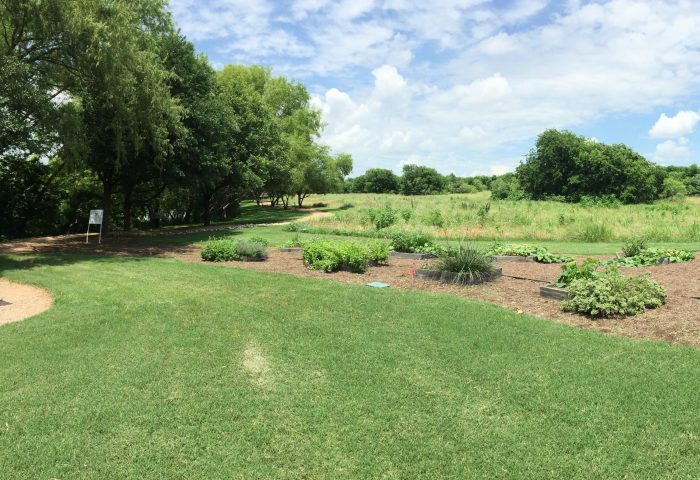 Dell has recently seeded additional acres around their campus with pollinator-friendly plants to further the impact made by their original prairie restoration efforts. 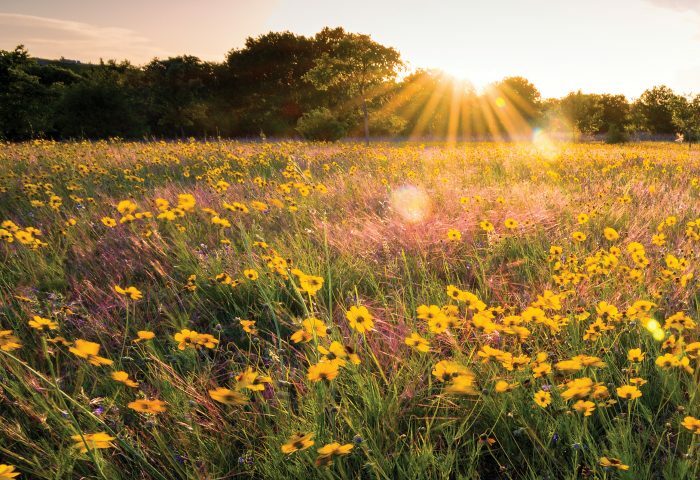 Community Impact: With Texan by Nature’s help, Dell is working to ensure that their commitment to habitat restoration doesn’t end at the edge of their lands; they are actively engaging employees in activities and resources linked to natural resource conservation. 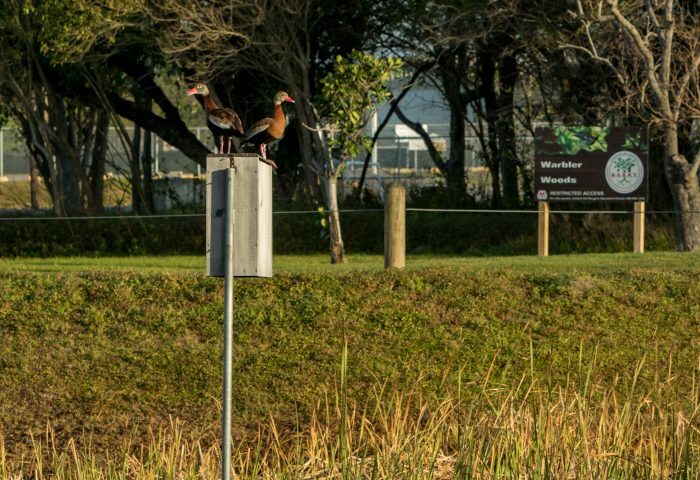 Dell communicates the conservation efforts and their work with Texan by Nature with their @dell4good social media presence. Texan by Nature was on hand at their 2016 Earth Day festival where members of the Dell employee network came to celebrate Dell’s sustainability efforts and learn more ways to engage. Texan by Nature spoke to crowds about what people can do at home to contribute to conservation (like making seedballs) and about the importance of native plants for pollinators, while reinforcing our brand by providing giveaways, informational materials, and collecting contact information from interested visitors.